Rather than the stadiums and arenas to which the former Beatle is accustomed, the venue holds just 350 people. 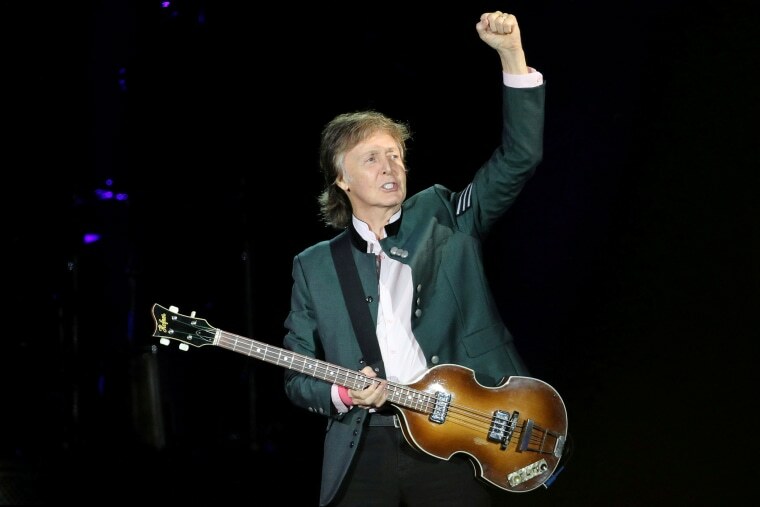 LONDON — Beatles legend Sir Paul McCartney plays such big gigs that even if you get a ticket you'll probably have to watch him through binoculars. So it was unsurprising that he sparked a frenzy Thursday by treating a very, very select group of fans to a rare, symbolic and altogether more intimate experience. McCartney, 76, played a surprise show at the Cavern Club, a cramped cellar venue in Liverpool where the Fab Four made their name more than 50 years ago. He announced the gig via Twitter. In comparison to the stadiums and arenas to which McCartney is accustomed — around 184,000 people watched him perform in Rio de Janeiro in 1990 — the club holds just 350 people. And during a rendition of "Twenty Flight Rock," he stopped to admonish attendees recording on mobile phones. "It's purrin' me off," McCartney said, according to The Guardian. Tickets were handed out "on a first-come, first-served basis" from 10 a.m. local time (5 a.m. ET) and the concert was due to start at 2 p.m. (9 a.m. ET). "Space is EXTREMELY limited!" his account tweeted. The Beatles first played at the Cavern while they were still making their name in 1961. The original club closed in 1973 and was eventually knocked down. The bricks were saved and used to build the venue that now stands in its place. Earlier this week, McCartney was filmed visiting another historic Beatles site, walking across the pedestrian crossing the group made famous on their “Abbey Road” album cover. Last month, he joined James Corden for a spot of “Carpool Karaoke” on "The Late Late Show" on CBS.